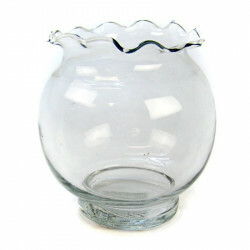 Anchor Hocking is the second largest supplier of glassware in the United States. Every Anchor Hocking product is manufactured with precision quality at the companys facilities in the United States, before being sold to consumers around the world. 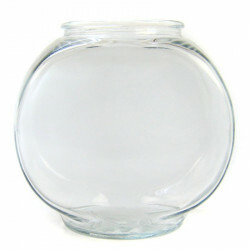 Anchor Hocking is a leading designer of quality glassware, including the very finest fish bowls for the pet industry. Anchor Hocking has manufactured high quality glassware in the United States of America for over 100 years! Since 1905, Anchor Hocking has been dedicated to producing the very finest glassware available. 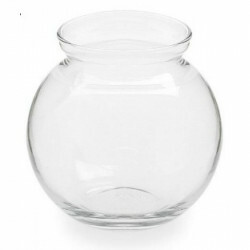 Their complete line of decorative fish bowls are made of heavy duty, high quality glass with 360 degree viewing, allowing you to observe the entire life of your gold or Betta fish. 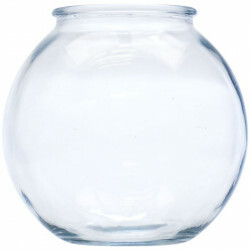 Place an Anchor Hocking bowl on the table, mantle, countertop or desk to instantly transform the space into a miniature aquarium. 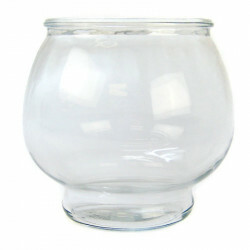 Be sure to browse all of our Anchor Hocking pet products to make sure you find just the right home for your pet fish. Anchor Hockings products are thoroughly tested and reliably durable for the long run. Pet Mountain is proud to offer you a wide selection of Anchor Hocking pet products, at the very best prices available anywhere! Take a look at all of our huge selection of great deals! Cant find something youre looking for? Let us know! Wed love to help. Be sure to check out our online coupons and discount shipping on all your favorite products.